When I go to Taco Bell. It's always up in the air. Everything on the menu is good, and everything on the menu will end up giving me the soft serve poops later. 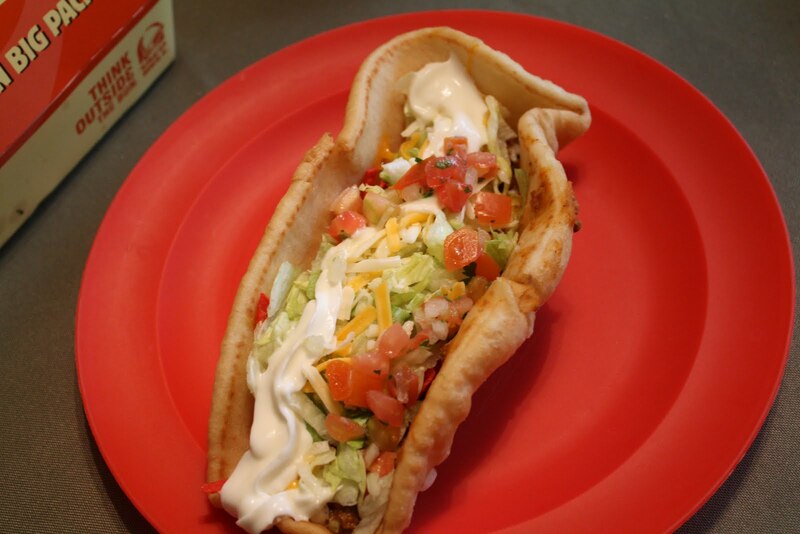 But one thing I usually always end up getting is either a chalupa, or a gordita. And I usually always have to get two of them because one just isn't enough. Holy crap, literally. All this is really is a somewhat larger wrap with maybe a tablespoon more of every ingredient. Little extra meat, lettuce, sour cream, cheese and tomato. No big deal. And yeah, it even feels like it makes me take a tablespoon more of poop after I'm done eating it. But what I will say is this. It fills you up. No need to buy two single chalupas anymore. The XXL Chalupa does the job. 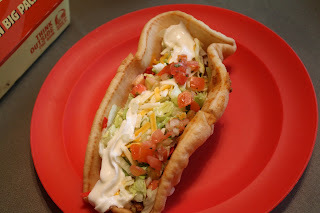 If you like food that is awful for you but tastes good and you're a chalupa fan, well grab one of these big bastards.